Officially, the Tigers sale started on Wednesday when Dave Dombrowski told the media that the team was going to look to “reboot” for 2016. In reality, I think it started much earlier. The team got off to a great start over the first few weeks of the season, but they haven’t played well since and their epic loss on the Friday before the break, followed by two more ugly games clearly signaled to the front office they might not have a shot this year. This is not, and was not, a championship caliber team. And so Dombrowski and his staff went to work. I won’t make you wait for the conclusion, they nailed it. The Tigers haven’t really had a chance to execute this type of rebuild since the renaissance, but they didn’t show their inexperience. The Tigers got it started by trading Price to the Jays Thursday morning. They added Soria to the list Thursday night, sending him to Pittsburgh. And then they finished with Cespedes to the Mets on Friday afternoon. All three of those players are free agents after 2015. Cespedes couldn’t get a qualifying offer. It would have made no sense to give one to Soria. So the Tigers could have kept the team together and earned a draft pick for Price while taking a 10% chance on the season, or they could have traded off the free agents with an eye on the future. They chose the latter course. Once that decision was made, the task shifted to identifying the right trade partners and the right players on each roster. For Soria, there wasn’t a ton you could do. He’s a rental reliever in the middle of a rough season, so while I’m sure they called around to other teams, it’s hard to imagine there was a huge market. I said in the analysis of that deal that I’d prefer to have gone with a higher floor/lower ceiling guy compared to JaCoby Jones, but Jones was the right quality of player for Soria. When it came time to trade Price, the Tigers had plenty of dates to the dance. It’s hard to say who was offering what, but the Blue Jays were certainly a team with a lot of prospects and were quite desperate to add talent to their 2015 roster. The Dodgers and Giants were involved, but the Blue Jays seemed like a clear match once they indicated they were going for it with the acquisition of Tulo. Daniel Norris was the obvious target because he’s an upper tier prospect and checks all of Dombrowski’s boxes, but grabbing Matt Boyd was the part that really caught my eye. Anyone would have asked for Norris. If Stroman was off the table (and I’m sure he was), Norris is the guy you’d ask for in the Jays system. Not to take anything away from the Tigers here, but any idiot could get Norris back when trading Price to Toronto. So the deal starts there for anyone’s rebuild, but Boyd is exactly the kind of prospect the Tigers should be targeting as they shift toward the next couple of seasons. Boyd’s velocity has ticked up this year, but he’s also a much more polished pitcher than Norris even if all of the prospect hounds haven’t quite caught up. Jairo Labourt is fine third piece, but the deal hinged on Boyd for me. Price wasn’t going to return someone like Julio Urias or Corey Seager, but the fact that the Tigers were savvy enough to pick up a name-prospect like Norris and an under-the-radar-basically-as-good-Norris Boyd with their second slot signals to me that they did their homework. Anybody can get the right guy at the top of the deal, but getting the right guy at every point in the process is the separator. It’s not so much that I think Boyd is going to be an amazing pitcher, it’s that I think his failure rate is very low. The Cespedes deal took longer. The Mets had their Gomez deal fall through, and then couldn’t finalize something with the Reds for Jay Bruce, so Cespedes became their best option. Michael Fulmer was the arm Dombrowski wanted, and realistically, with Cespedes as the only piece going to the Mets, he was the best arm they were going to get. The Mets have better prospects, but they don’t have better prospects to trade for Cespedes alone. Cessa is a nice piece, but he’s more like Labourt than Boyd. If there was a failure at all here, it’s that the Tigers didn’t try to shoot higher than Fulmer by sweetening the pot. The Mets probably would have enjoyed Dixon Machado and they certainly wouldn’t have minded shedding Michael Cuddyer’s contract, so a Cespedes-Machado-salary relief package to the Mets might have pushed the offer into the Wheeler + range rather than the Fulmer + range. It wasn’t a bad outcome. Maybe the Tigers tried it and the Mets didn’t bite, or perhaps Dombrowski preferred Fulmer outright. Either way, the still have Machado and the money they could have spent on Cuddyer, so it’s not like they’re out of options. The Tigers traded away three players with basically no value to them for the rest of 2015 and they got back three very legitimate prospects and three guys could very easily have some future in the majors despite some limitations. Norris and Boyd will likely slot into the 2016 rotation, and could stay there through 2021. Fulmer is probably more likely coming for 2017, and anything that shows up along the way from Cessa, Labourt, and Jones is gravy. Not every prospect will pan out, but the three main additions are knocking on the door of the show already. Maybe one turns into a reliever, one winds up a #5, and one becomes a #2/#3. That might seem like a disappointing outcome, but it’s actually pretty outstanding. And there’s a decent shot things go a little better. The Tigers gave up on 2015, but they are now positioned much better for 2016 and into the later years of the decade. People might quibble with my exact rankings, but there’s a pretty legitimate case to be made that from draft day to Friday at 4pm (46 days), the Tigers acquired their four best prospects. And Labourt, Cessa, and Jones are all top 15 guys in the system. At the expense of punting on an already doomed year, the Tigers became an organization with a farm system, and it’s a farm system that will start churning out players over the next twelve months. The future of the organization got a lot better in the last 48 hours. I’ll have something on their path forward in the next few days, but for now, we can appreciate what has just occurred. The Tigers went into the week as disappointing as any team we’ve seen in the city since 2008 and came out with the wind at their backs. There is work left to do, but a ton of groundwork was laid. Don’t get me wrong, pitching prospects break your heart. A very long line of pitching prospects have broken our hearts. The point isn’t that the Tigers acquired a bunch of can’t miss prospects, it’s that they acquired a large collection of pitchers with a realistic potential to contribute in the MLB rotation. Some of them will bust, but you have to have 5 good prospects to get 1.5 good players. The Tigers now have some depth and quality in their system. It’s hard to give up on a season, but it’s also liberating. This is a hard team to fall in love with because they just can’t prevent runs, but now that hope is gone, we can cheer for the individuals and be content with a draft pick. We can’t predict the future, but after a productive week, the cavalry is finally coming. The Tigers paid a lot to get Joakim Soria last July, losing Jake Thompson and Corey Knebel to the Rangers, but it was a deal they needed to make. They were desperate for big relievers and they were in a position where going all in made sense. Over the last year, Soria gave the Tigers 52 innings with a 3.29 ERA and 4.89 FIP (3.24 RE24). The overall numbers weren’t great, largely because of some awfulness lately, but the memories will always feature Ausmus using him poorly rather than him failing to perform, even if both were true. It didn’t go as planned, but few things do. In exchange for Soria, the Tigers add JaCoby Jones from Pittsburgh, who’s a SS or a CF, depending on whom you ask. He’s a toolsy type, with some good raw power, but the report I got on him today was that there’s “little chance he hits” and probably more of a utility profile. That’s not a bad piece, considering the Tigers were dealing a reliever rental during a bad season. You weren’t going to get very much for Soria, so getting a player with some small chance of blossoming is a win. My guess is that the Tigers could have shopped him around and gotten a higher floor player, but I understand their impulse to pick up a guy who could be coached into something. There’s a bias in my evaluation I’m sure, as I’m always in favor of polish over ability, but the reality is that most guys like Jones don’t wind up turning into anything of note. That doesn’t make it a bad deal. Jones becomes one of the best dozen prospects in the Tigers system easily and Soria had zero value to them going forward. It’s a trade that works just fine, even if it isn’t one that blows you away. When you’re trading expiring contracts, you’re not going to get a whole lot unless it’s an elite player. The Tigers added to the system with the Soria deal and the value seems right. I might have chosen a different type of player, but Jones is the right quality of player to get back. Trading Price was an obvious call, and the two or so wins he’ll be worth down the stretch are extremely valuable to any team that fancies themselves playoff contenders. He’s a short term rental, so the Tigers weren’t going to get a top flight prospect back in any deal for the ace, but at first blush it appears like they did very well. The key with this trade, as opposed to almost every other Tigers deal since the advent of this website, is that the Tigers had to make it. Price is a free agent after the season and the Tigers aren’t going to re-sign him. Their 2015 season is over. It’s the qualifying offer or a trade, and so it comes down to getting the highest offer for him before Friday at 4pm. This offer looks an awful lot like the best one they’d get. But it being a good offer doesn’t mean it’s a sure thing, and that’s important. Price is a great pitcher, but the quantity of Price the Tigers are offering is limited. You only get a dozen or so of his starts, even if he is a top ten starter in baseball. Julio Urias wasn’t on the table. Corey Seager wasn’t either. The Tigers picked up players who will slot right in at the top of their system, but it’s a weak system and pitching prospects are scary. Daniel Norris immediately becomes their most promising young starter, and I would imagine he’ll slot right into the MLB rotation. He’s a good prospect, but he’s had a problem issuing walks at just about every level. Purely going off the numbers, Chris Mitchell’s KATOH system only expects about 5 WAR through age 28. That’s just an estimate of course, but it’s an indication his minor league performance predicts less success than his prospect bona fides. He has the stuff to be an above average starter in the majors, but his delivery does create some command issues. The difference between a #2 and #5 starter is in the details, but it’s a worthwhile gamble for sure. While Norris is about the stuff, Boyd is a more advanced pitcher with better command. I talked with a friend who works for a non-involved club who actually thinks Boyd is almost as good as Norris overall. He’s been great in the minors and is one of Carson Cistulli’s favorite guys, so that helps in a surprising way. I imagine he’ll be a New English D favorite before too long. Labourt is more of the wild card. He gets up to 96 on the gun and has some seasoning left to do, but he’s still considered a prospect by Tigers standards. Don’t expect much, but keep an eye on him. Put it together, and the Tigers did a nice job today. Not only did they just acquire their two best prospects, but they probably can move them to the rotation almost immediately, counting on them to be real contributors for 2016. When the dust settles, it’s Smyly-Jackson-Adames for a 6 WAR season of Price, and then Norris, Boyd, and Labourt. The Tigers might not have acquired more talent than they gave up a year ago, but they certainly acquired enough to make it totally worth it by every definition. The Tigers aren’t close to done, but they’re off to a great start. We’ll obviously circle back on the full deadline once it’s over, but the Dombrowski and company just made one of the better trades of their tenure. It’s not Miguel Cabrera or Doug Fister, but it looks like a great move. Exciting times. 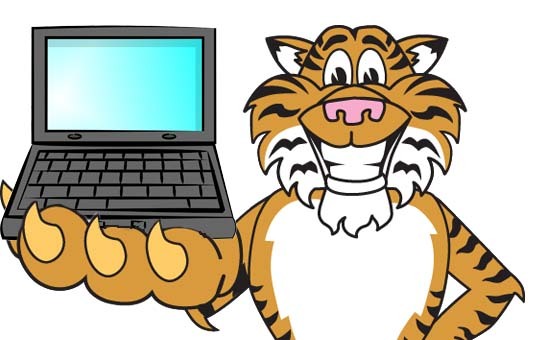 What Do We Know About the 2015 Tigers? The 2015 Tigers just lost three of four to the Twins to end the first half, including a devastating 9th inning collapse on Friday that could only be described as “not technically the worst inning ever.” They are 44-44 after 88 baseball games and need to play like a 96 win team for the next 74 games in order to get to 88 wins (the number generally needed to reach the postseason). It is a tall order, but not an impossible one by any means. We’ve talked about the looming buy/sell decision, but I think it might be useful to reflect on the baseball we’ve seen so far. What do we know about this collection of players and coaches that we didn’t know in March? Not literally of course. They’ve thrown more than 12,000 pitches this year, in fact. But going into the season we had some expectation that this would be a competent staff. David Price is and continues to be an ace. Anibal Sanchez is clearly still capable of pitching at that level, but his inconsistency has been an impediment. Verlander missed a bunch of time, and wasn’t good until his most recent start. We had high hopes for Greene, which appear to be misplaced. Simon has lived up to his reputation of not being very good. But maybe most importantly, Lobstein, Ryan, Farmer, and company didn’t deliver any depth. Not only did the main rotation show their flaws, but the flaws we suspected in the cavalry showed through. The days of the rotation leading the team are over. In 2013, they had one of the best rotations of all time. 2014 was worse, but still strong. Halfway into 2015, we know it’s over. And then bullpen, LOL. We knew they were going to be bad, but they are extra bad and seem to be getting worse. You can count me among the people who didn’t quite expect the offense to handle things quite so well. I expected good things from JD, but not like this. I expected a solid Cabrera, but he is at his best. Cespedes has stepped up. We knew the offense was going to be good, but it’s been very good. The run scoring (4.5 R/G) is a little below the overall production (112 wRC+) because of the double plays, but those will probably decline in the second half (They are scoring runs like a roughly 106 wRC+ team, FYI). They got Iglesias back, added Cespedes, and Gose. They cut out Torii. Castellanos couldn’t be worse, right? After being a horrible defensive team last year, they’re about +5 runs above average going into the break (might change with final week update). That’s not an elite club, but they’re above average. Last year, they were -35 to -70 depending on who you believe (over a full year). Iglesias is obviously tremendous. Cespedes is the Tigers best corner outfielder I’ve seen in forever. Gose gets to plenty of baseballs, although his arm does tend to mis-calibrate the direction of his throws. Castellanos isn’t going to be a good defender, but he’s no longer a statute. JD Martinez’s arm has done great work. McCann has destroyed base runners. There are two important facets of this comment. 1) Ausmus isn’t the reason the Tigers aren’t a great team. 2) Ausmus is a horrible tactical manager. There’s a decent chance he had a tangible effect on breaking Castellanos out of his slump based on what I’ve heard and read about what he said to him before giving him a few days off recently. That might wind up having a nice impact on the team. Stuff like that matters, but we can’t really judge managers on that kind of thing because we have no information about it on the outside. Maybe Ausmus is excellent at instruction and when it comes to players’ mental well-being. But there’s no way to know. Anyone who doesn’t work for the team who pretends to know if he’s good or not is just lying to you and to themselves. But on the other hand, he’s bad at the on-field part of the job. Some of his highlights include very bad bullpen management (although, there’s only so much you can do with brussel sprouts), calling for and supporting reckless base running, bad bunting, super weird pinch hitting decisions, and of course, his 100% rejection of ever hitting Cabrera second. Also, the dude cannot seem to get pinch running for sluggers right. Those are just some general manifestations, but there are two fundamental problems with Ausmus as a manager that leads to these decisions. First, Ausmus thinks his thought process is better than it is. He has an answer for every question. He sits on the bench and thinks through his decisions and simply arrives at the wrong answers. That’s not a flaw in and of itself. There’s nothing wrong with working on a problem and getting it wrong. The problem is that Ausmus routinely comes down on the wrong side and when he’s questioned about it, explains why he thought it was a good idea with no recognition that he might have gotten the wrong answer. Let me use myself as an example. I thought Shane Greene was going to be pretty good this year. Clearly he is not. It’s possible that I got unlucky, but it’s probably more likely that I fell victim to a positivity bias and relied less on his minor league numbers that I would normally. For that reason, I got it wrong. I understand where my process failed and I learned from it. Ausmus has never shown a willingness to accept a mistake as his mistake. I don’t care about “accountability” in this case, but from an intellectual perspective, he never seems to believe his failures are bad process. That’s dangerous. The other problem is that Ausmus manages the team he wishes he had rather than the one he does. He hit Gose leadoff a bunch because he wanted Gose to be a classic leadoff guy, even though Gose is not a good enough hitter for the role. He used Joba as a setup man because he wanted guys to have roles and at one time, Joba had excelled in that role. These little things add up. Ausmus is constantly betting the over on everything. It’s one thing to support your players and have their backs in public, but you can’t manage a team without understanding what your players can’t do well. Overall, I thought the Tigers were an 86 win team. I think they still probably are about that good. Maybe a little worse, but generally they’re about that good. I expected a little less from the bats and a little more from the pitchers, but this is overall about the quality we’d see. I think the way the organization responds to the next three weeks is going to define the next five years in Detroit. There is a real opportunity to sell some pieces and counter balance the aging contracts, but if they convince themselves they have to go for it hard, they’re going to have to continue to play the one-year-at-a-time game. It’s dangerous, but it can work. The club has a chance to stabilize their foundation, or they could simply decide to push all the chips in again and again until it all falls down. I don’t think one is right and one is wrong. It’s clear which I would do, but the other strategy could be a path to a title and that’s the goal. Re-signing Price and Cespedes, and adding Cueto or something would make them a good team for 2016. It would probably increase the odds of a 2018 disaster, but who cares, right? I understand why people are frustrated with the half of baseball we just watched, but I do think things will be better in the second half. There are good players on this team and the luck usually evens out. There’s still plenty of baseball left and there isn’t a lot of bottom left to fall out.